Putting Through-Line: Are You Aware of Where You Walk on the Green? as the actual line of the putt. Getting the players in your group from stepping on the path of your putt seems an impossible task. Therefore there is less hope that they will avoid your path beyond the hole. The through-line refers to the extension beyond the hole. For example, should your first putt miss the hole and travels a few feet past, your return putt will be on the through-line. The definition of the Line of Putt in the Rules of Golf is the direction that the player wishes his ball to take after a stroke plus a reasonable distance on either side of the intended line. 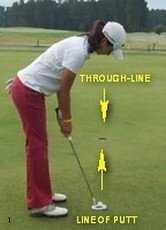 However, the line of putt does not extend beyond the hole. This is where Golf Etiquette comes in. If you watch tournament golf you will see that the professionals are very careful where they step. If they think that they will stand on, or walk across, another player's line or through-line, they will mark their ball or position their feet in such a way to avoid any interference. Why doesn't this simple practice of avoiding another player's putting line find its way to the amateur game? Quite often I will watch players in my group walk across or step on my putting line. It is usually the high-handicap golfer who hasn't got a clue about the finer points of the game. Most times it doesn't matter, but when the greens are soft you can see the indentations of their foot prints. If you point out their errant ways, they consider you a golf snob. Ready Golf, or Continuous Putting, doesn't help as the player feels obliged to finish putting so as not to hold up play. So what is your defence, if any, against a fellow golfer walking on the line of your putt? Unfortunately there appears to be no defence against violations on your putting through-line. I suppose the best solution is to improve your putting so as to avoid come-back putts. Now I am not claiming that I don't on occasion step on another's line, but it is usually because I don't see the ball marker on the ground. Being red-green colour blind I can't readily see a small red marker. I think ball markers should be white or yellow so as to contrast sharply with the green grass. My particular defence is a large white ball marker that I acquired at the Turtle Bay Resort in Hawaii. When placed on the green it is easy to see - being just smaller than the diameter of a golf ball. This gives my fellow players a chance to avoid my line of putt. Mind you it doesn't work in cases of ignorance or a couldn't-care-a-less attitude. Golf etiquette is rarely taught at grass root levels and relies more on individuals being perceptive enough to pick up what is considered good course manners. Better golfers soon learn about the Line of Putt and the Putting Through-Line as in competitive golf the stakes are higher. 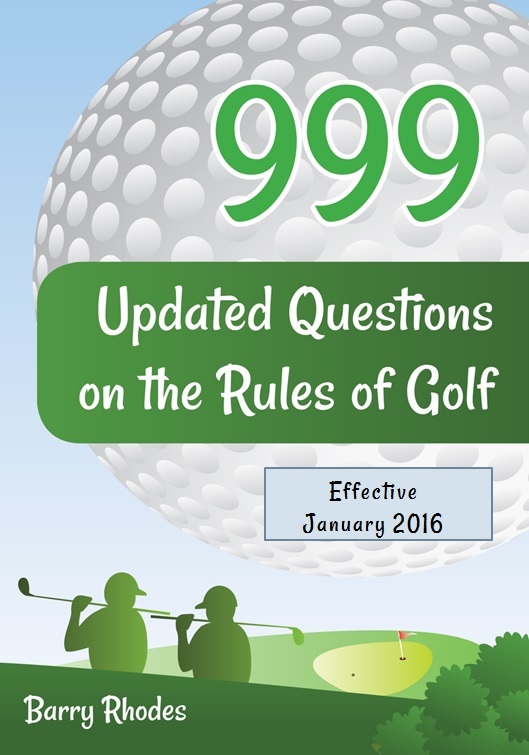 There is little excuse for ignorance or sloppiness and every regular player should be familiar with the Rules of Golf as well as the main principle of Golf Etiquette, namely that consideration should be shown to others on the course at all times.